On RTE’s Today with Sean O’Rourke. 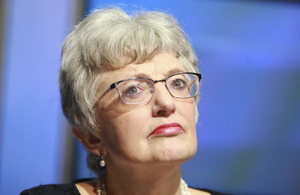 The Minister for Children and Youth Affairs, Katherine Zappone spoke to Mr O’Rourke about several matters. 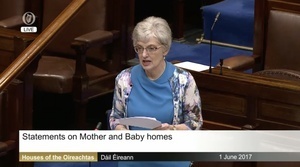 These included the Commission of Investigation into Mother and Baby Homes; Sgt Maurice McCabe; Taoiseach Enda Kenny telling RTE about a fictitious meeting with Ms Zappone prior to her meeting Sgt McCabe; and the results of yesterday’s Comptroller and Auditor General’s report which showed 18 religious congregations have, up to 2015, paid just 13% of €1.5billion redress costs associated with the compensation scheme for victims of abuse at religious residential institutions. “At the time it was decided that it was appropriate to have a sample representative of settings but I suppose, in light of the discovery of, in terms of Tuam and the ways in which we are all trying to come to terms with this and Sean, you know, in the last number of days, I’ve listened to so many people, trying to reflect on the meaning of what has gone on in our history. “And I have had, you know, many grown men come to me and cry in my, in my presence, trying to come with an understanding of what this meant for unmarried women and their children but also, you know, who is responsible, what was it about our society, how could people behave in this way. So, I’m sorry, I’m just trying to come to terms back to, you know, you’re saying how long will it take? 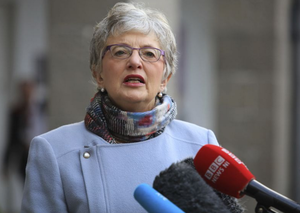 Zappone: “Oh, ok, I’ll tell you, what, again, no, what was most on my mind was to ensure that a way of responding to this kept us moving to an appropriate response to the McCabes and I think, as you know, things have continued and certainly, under my own direct, sense of powers, as minister of children, I have, I ordered the establishment of a statutory investigation by HIQA, in terms of the way in which Tusla manages child abuse allegations, and I’m very pleased to say that I…. O’Rourke: “And that’s an important part, perhaps the most important part of the bigger picture. But to go back to the politics of this for a minute. 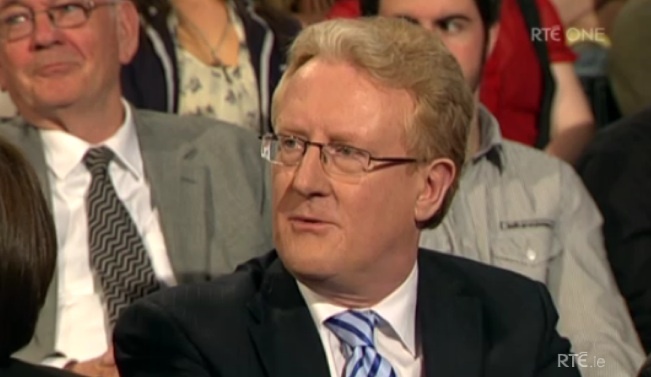 What did you think of what emerged afterwards to have been a fictitious account given by the Taoiseach on [RTE’s] This Week about having met you before you met the McCabes and told you ‘be sure you take a good note’. 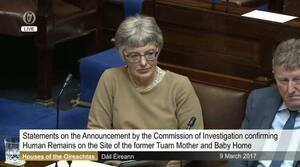 Posted in Misc and tagged Katherine Zappone, mother and baby homes, Sean O'Rourke, Sgt Maurice McCabe at 1:03 pm on March 10, 2017 by Broadsheet. I’d cry too if I had to listen to an American Liberal Feminist TD even utter a word. she only pretended to be those things to get voted in. but has acted like a right-wing, conservative bigot. I find it strange that she (of all people) received her education from the Catholic University of America? Is that a statement or a question? I received my education at the hands of the Christian Brothers and yet have grown into a happy atheist. It’s a bit of both ReproBertie. Apologies for the stray question mark. From the website: The Catholic University of America, founded in 1887 by the U.S. Catholic bishops with the support of Pope Leo XIII, serves as the (one and only) national university of the Catholic Church in the United States. It’s just a strange combination of person to come out of there and as she’s labeled ‘American Liberal Feminist’ & ‘acted like a right-wing, conservative bigot’ I’m even more perplexed? Can you list the ways she’s acted like a “right-wing, conservative bigot”? In fact, apart from the mileage thing and this, I haven’t heard much out of her. No matter what, that face says I care. I’m sick and tired of the media and politicians embracing these moral crusades and leading the nation in chasing ghosts to prosecute. We have flesh and blood corruption in situ that could do with some of this attention. We know terrible things happened at many of these state/ church institutions and they are worthy of investigation, but we have more pressing problems that we are being distracted from. And we have limited resources for investigating. Very correct and spot on Eoin. We have forgotten Garda Corruption, Enda floundering on Brexit, the housing crisis,the legal “profession” fleecing the country, car insurance etc.etc.